Ivory Granite is also known as Indian Ivory Fantasy Granite. Indian ivory fantasy granite has brown spots on ivory and whitish grey background. Variation of indian ivory granite is Low . Various Sizes & Standard sizes our company can offer. We are a distinguished processor Ivory Fantasy Granite that is strong & durable. This Ivory Fantasy Granite is extensively used for interior and exterior walls, floors and monumental stone as architectural stone. This granite is skilfully polished & finished under strict supervision of our experts and available in a huge variety of colors and sizes. Price varies Rs 938/- to Rs 2412/- based on the quality of the products. 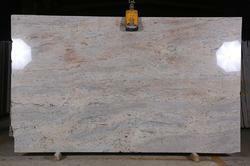 Clients can avail standard quality assortment of Ivory Fantasy Granite Slabs from us. These Ivory Fantasy Granite Slabs are highly heat and moisture resistant. 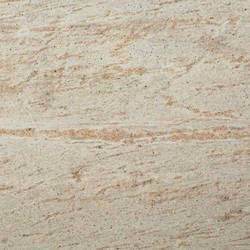 These slabs are extensively used in various sectors. Our product range is very decorative and is designed by using the efforts of our skilled professionals.